GotWarcraft note: This guide has been updated for Warlords of by us. While this page was originally for Frost Mages, we’ve also updated it to apply to any mage. The differences in gearing between specs are small and are mainly just in the preferred stats. Are you Level 100? Obviously this page assumes you’re level 100. If you’re not there yet then you’ll want to check out our mage leveling page. Getting Started now that you’re freshly level 90. Conquest Gear for the serious players. The Best Mage PvP Gear in Season 15 – the Elite PvP gear. Mage PvP Professions for the extra little edge. Mage guide, an overview of the Mage class. Mage leveling guide, tips to get to 90 faster. See our Mage Changes in Warlords post for all the changes, what’s below is a summary. Gear: gems slots are few and far between. The gems that are available are all Prismatic, which means they will fit into any socket (min ilevel 600.) The new gems do not (yet) cover primary stats, not do the new enchants. Warlords PvP gear will have a secondary item level that activates whenever the character is in a PvP area (Arena, Battlegrounds, Ashran) or engages in PvP combat with another player. During this item level transition, the character’s relative health remains the same. Set bonuses are missing on much of the gear, though some pieces have them. Stats: Hit, Expertise, Resilience, and Reforging are all dead. You have two new stats, Versatility and Multistrike. Each spec of Mage (and everyone else) also has an “attuned” stat, which gives you a 5% bonus to that stat. PvP power also seems to be missing from the new gear. Various abilities have been removed, others are restricted to one or another spec. For example, Conjure Mana Gem, Pyromaniac, and Improved Counterspell have been removed. Shatter and Deep Freeze are now Frost only. Talents – other than ten new levels and a new talent row, some talents have changed. Alter Time (nerfed hard) and Mirror Image are now talents. Presence of Mind is now Arcane only, Temporal Shield, Incanter’s Ward, and Invocation are replaced and are dead. If you need to get to level 100 faster, then check out our Zygor review. Warlords note: Hit, Expertise, and Resilience are dead. So is Reforging. You have two new stats, Multistrike and Versatility. In addition, each mage has an “Attuned” stat, which gives you a 5% bonus (from all sources) to that stat. All of the attuned abilities are level 90 and are passive. Your Multistrikes can crit. The relative values of these two stats shown in the priorities below are estimates. Arcane will get Arcane Mind, which provide 5% more Mastery from all sources. Fire will get Incineration, which adds 5% more Crit from all sources. Frost gets Ice Shards, which adds 5% more Multistrike from all sources. All Mages – Your main priority is: Int. Frost: Int > Multistrike > Haste > Crit (to 25%) > PvP Power >= Mastery = Versatility? Fire: Int > Crit > Multistrike >= Haste > Mastery=Versatility. Fire lives for the Crit., as much as it can get. Some might put Crit over Int in value. Arcane: Int > Mastery > Multistrike=Haste > Crit=Versatility. Intellect increases your spell power. Int is easily your #1 stat in Warlords, with the possible exception of Crit for Fire. Haste reduces the cast time of your abilities. This goes a long ways to ensuring your important spell casts go uninterrupted, such as Polymorph and other spells with cast times. Your Mage Bombs are a big portion of your damage and Haste will help them burn tick faster. At certain points you get an extra tick, for more damage. Faster casting speed will reduce the chance your ‘cast time” spells will get interrupted. For example, well timed Polymorph can also help dictate how a match will progress, but not if the other side has a chance to interrupt your cast. It will also help Frost’s Icicles to stack up faster. Fire is lukewarm towards Mastery, Arcane likes it a lot. Critical Strike, or Crit, is thought of as one of the worst secondary stats for a Frost Mage, at least after a total of 25% rating. Shatter gives a Frost Mage a huge chance to score a Critical Strike, and the vast majority of kill attempts will be scored on a frozen target. Secondary stats are better allocated elsewhere. Arcane doesn’t have much use for Crit, either. Fire, on the other hand lives for the Crit and can’t get enough. Fire does piddly damage unless the crits are popping. PvP Power increases all of your damage against other players. This is a linear increase. Once upon a time (prior to 5.3) PvP Power was very desirable for most classes and specs. After the nerfs, not so much. As with Resilience, the PvP Power on your gear will be enough. Important Warlords Note: Gems sockets are few and far between in Warlords. None of the PvP gear currently available (Warlords season 1) has any gem sockets at this time. Since there is a chance for raid items to have a socket one might assume there is a chance for some PvP items to also have a socket. For the gems sockets that might be available, there are no socket colors, no meta gems, and all of the sockets are “Prismatic,” as are the gems. Also, none of these gems add Int, they are all for the various secondary stats. Socket bonuses are also gone. Those Prismatic gems require an item level of 600, so no sticking them in earlier PvP gear. This gemming situation might change as Warlords develops. Gems with secondary stats have twice the value of gems with primary stats, so your Haste gems are 20 points and your Int gems are 10. Socket bonuses are all Int or PvP power and you should match sockets to get the bonuses. Note: “Perfect” gems have the same stats as “regular” gems, but one or the other may be at a much lower cost (and it won’t always be the perfect gems.) When searching, for example, for a Brilliant gem also search for a “perfect brilliant” gem. Might as well save some gold. Or you could use our gold guide and earn more. Gems that added Hit now add Crit, those that added Expertise now offer Haste. Meta: Burning Primal Diamond until you can get Tyrannical Primal Diamond. If you raid and do World PvP then consider the Capacitive Primal Diamond as it’s much better DPS gain than either of the other two gems, especially for Fire. 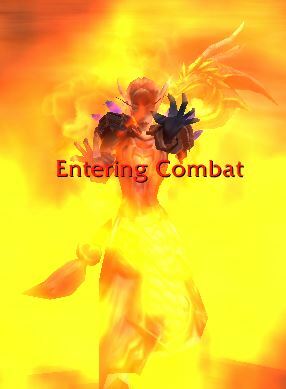 It does not proc in instanced PvP (BGs & Arena,) though Fire will like the crit. Warlords note: the new enchants cover the secondary stats, not primary stats (yet.) Profession bonuses are dead. Your rings and neck items can now be enchanted. So far those and your weapons and cloaks are the only items with Warlords enchants. Unlike the gems, the Warlords enchants are available to be used on Warlords PvP gear. Massive Gold, easier than ever. Click here now. Upon achieving level 100, we do NOT advise you to just jump into an Arena, or start grinding Battleground’s, or do any sort of PvP for that matter fresh off of leveling in your leveling items. Chances are many/most of the enemies in a Battleground will significantly out-gear your fresh level 100, which means they will have a significant advantage over you in a PvP setting. Scroll down a bit for level 100 gear. Yes, season 15. Warlords crafted PvP gear is not available as of this writing. If you have the gold it’s a good way to immediately get into decent gear, then you can start grinding up the better stuff. If you’re PvPing at 90ish then this is a good set to get. Gems and Enchants? See the gem section, above, if you want to gem and enchant this gear. If you, or a very near and dear friend, have tailoring (or if you’re rich,) then you can make (or buy) three pieces of crafted gear. The weapon is 630 and the armor is 640. While not as good as the PvP gear you will be able to equip it as early as level 91. All these items can be upgraded, but at a major materials cost. Your Garrison will be a big help in acquiring those materials within your lifetime (or the lifetime of the Warlords expansion.) Figure at least 30-50k to buy these three. They can be used at level 91, which is pretty nice if you’re not yet 100. The secondary stats on the crafted items are random, but you can craft (or buy) an item which will reroll them until you have what you like. The 640 armor bits can be upgraded twice, to 655 and 665. Both upgrades are much more expensive than the original item. Weapons can be upgraded from 630 to 655, at a similarly grim cost. Note that PvE gear is up rated to 650 in instanced PvP (BGs and arena.) This makes upgrading your expensive crafted pieces less important. Higher level PvE pieces are not (yet) downrated as they were in season 14 & 15. Warlords of Draenor’s PvP gear is a bit different than before. Instead of using PvP Power (now dead) to give the PvP gear an edge it now uses two ratings. PvP gear will have both a PvE and a PvP item level. There are three levels of PvP gear than you can gain, the first two can be “Warforged,” which adds another 6 item levels. Primal Aspirant gear is 600 PvE / 660 PvP. That 660 PvP rating makes it better than almost any PvE gear that you’ll be able to get. Primal Combatant is your Honor gear and it’s 620/675, so will be better than PvE gear in all cases. Primal Gladiator is your Conquest gear and is 660/690, which makes it nice for both PvP and PvE. Warlords has also introduced strongboxes as rewards for doing at least decently well in the BGs or PvP events. The boxes can contain gold and/or honor and/or gear. The gear will usually be Aspirant, sometimes honor, and very rarely conquest. The better your team does in the event/BG then higher the quality of the box you’ll win. You can still spend points on Honor and Conquest gear, just like always. Should I get the Honor Gear? You’re freshly 100 and have (or you should have) the crafted gear. The honor gear is the next step up. You can go into areanas and RBGs with your leveling gear or dungeon gear, but you’ll find yourself being a doormat to those who geared up properly. With the Strongboxes, in addition to the points, gearing up should go fairly quickly. Should I use Any PvE Gear? Only until you can replace it with PvP gear. The PvP gear will get a significant item level boost in PvP situations (see above,) which PvE gear will not get.These situations include World PvP. Plus, the PvP trinket pair gives a 10% damage reduction set bonus. Gems and enchants will help you out significantly, but some are expensive. (Go here if you need the gold to get these items.) Drop down to the “next best” enchant until you can afford the better enchants. Of course, a friendly enchanter or your guild might be able to help out. If you do not already have a trinket that removes movement impairing effects, THIS SHOULD BE YOUR FIRST PICK-UP. In season 15 there was a requirement for the weapons in that you had to have earned 7,250 honor points in the season. In Warlords your Honor weapon has no such requirement, The Conquest weapon does. Conquest Weapons require 7,250 accumulated Conquest points before you can buy them. Honor weapons do not. For your Conquest gear you will need to get the head and gloves first, then the weapons. The order of acquisition is otherwise the same. Get the weapon first, the staff looks like it has better stats than the sword plus off-hand. Go for the head (or chest or legs) first, for the large stat value. Note that the tooltips are wrong. These items provide +Int and an “on use” Versatility proc. legs or chest, whichever you didn’t get. Rings, cloak, neck piece are next, since you can get them enchanted. Escape trinket – Due to this item’s lack of primary stats, this should be your last pick-up, provided you have a PvP trinket from a previous season. It also fills out your two piece PvP trinket set bonus for the damage reduction. Important note: there are two pieces available for any given slot (Conquest items have three, with appropriate faction rep.) One of those pieces has the set bonus, the other does not. If you really like the set bonus then make sure that’s the piece you by (Head, Chest, Legs, Shoulders, and Gloves are your set pieces.) Of the three pieces of Conquest gear only one will come with the set bonus. Profession bonuses are dead in Warlords, so the value of any profession is basically the gear or the gold that you can make. Your tailoring will make the crafted armor mentioned above, Inscription will make the staff. These crafts will also make the bits needed to reroll stats and upgrade the items you create, if you’re so inclined. Engineering makes some nice head pieces, rockets, shields, and invisibility devices, and some other nice toys. The rockets and such can’t be used in rated PvP, however. Tailoring will let you make pieces of high level gear and items to upgrade them. Engineering has some nice toys that you can use in World PvP or regular BGs, such as Nitro Boosts, gliders, bombs, etc. Blacksmithing will let you make a couple of weapons. Inscription is good for the glyphs and some caster items. Alchemy – chances are that the potions and such that you can make will be found cheaply enough on the Auction House to make Alchemy less useful than otherwise. Enchanting lets you do your rings, neck items, weapons, and cloaks. Jewelcrafting get you make neck items, rings, and gemmed panther mounts. Leatherworking offers nothing for you. The gathering professions (herbalism, mining, skinning) are only good for supplying a craft or for making gold. What did you think of this guide? Good? Bad? TD:DR? Leave a comment and and use those sharing buttons, Ok? Thanks. What trinket should we take now? The website popup for the dps trinket (Primal Combatant’s Badge of Dominance) says it gives Int on use, however in game it’s 381 versatility on use. Ok, Conquest: #1 is Versatility +Int proc, #2 is Int + On Use Versatility. Honor’s basically the same. Interesting. The Int proc will give you more damage IF you can keep an eye on it and make good use of the procs. The “on use” will give you less damage, though certainly decent, and will be easier to line up with other buffs since it’s a cooldown. I’ll make a note on the page. Thanks. Nice catch. Good question. You’re right. The different specs do want different gear. I think it was probably late and I was thinking of burning things. I’ll update now. Thanks for the heads up. Now that I’ve hit full Malevolent gear; how do you suggest I begin working on my Tyrannical set? Getting an RBG team together is really hard on my server and every time I go into Arena, it seems my partner and I are out geared. I know about server problems. I’ve have a very dusty Alliance Rogue on Detheroc. I think there are about 27 people on that server, Alliance side. I you can’t do RBGs or Arena… All I can suggest is BGs. You do get a few CPs for regular BGs. Grind’em out.Otherwise, get a headset and get your teammate(s) to do the same and do Arenas. Communication is #1 there. You’ll fall flat on your face for awhile (remembering when I first did BGs. In greens. 🙂 ) But you’ll get a flow going and likely start to pick up a few games. Ditto RBGs. Keep working at a team, make sure you have communication, and keep plugging away. You might also check out TeamFind for partners.